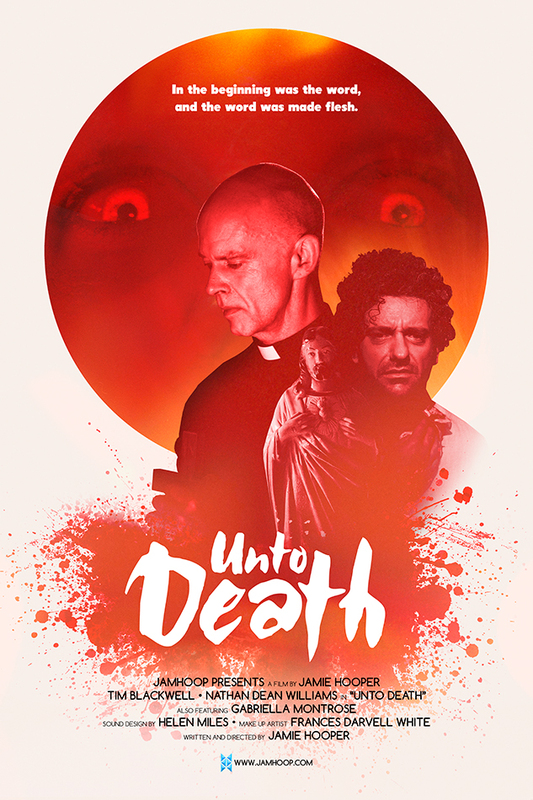 I'm now in the very final stages of post production on my latest short film, Unto Death. Low/no budget filmmaking is tough and takes time but I'm really happy with how the film is looking and sounding. I'll soon be doing the colour grade with a talented colourist, and Helen Miles is working on the sound design as well as the score, which is being created in a pretty unique way. I'll probably do a separate post on that at some point. In the meantime I made another poster. I wanted to make something that was more modern looking than the retro teaser poster I made. Check it out below.